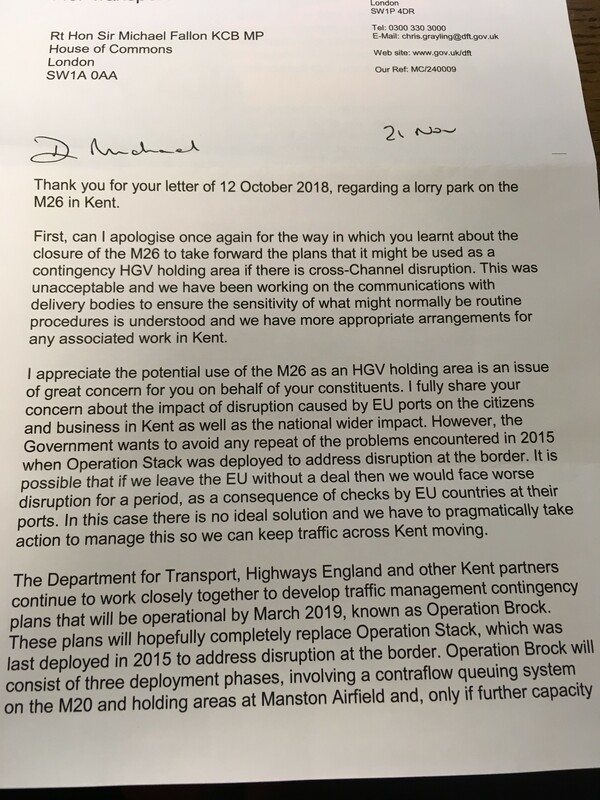 Sevenoaks MP Sir Michael Fallon has today expressed his serious concerns about the Government’s plans to turn the M26 into a lorry park in the event of a no deal Brexit. 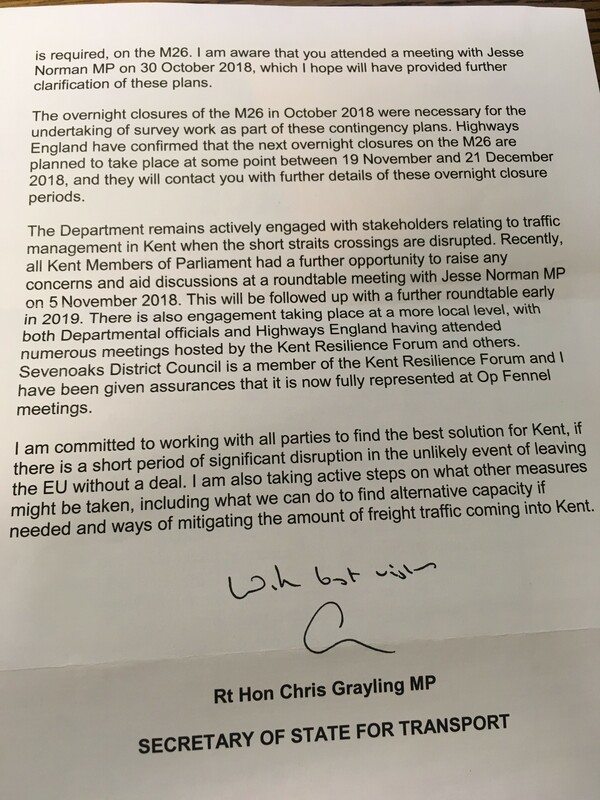 The move would close the motorway from 8pm to 5am every night between 15th and 19th October, and 19th November and 29th March 2019. 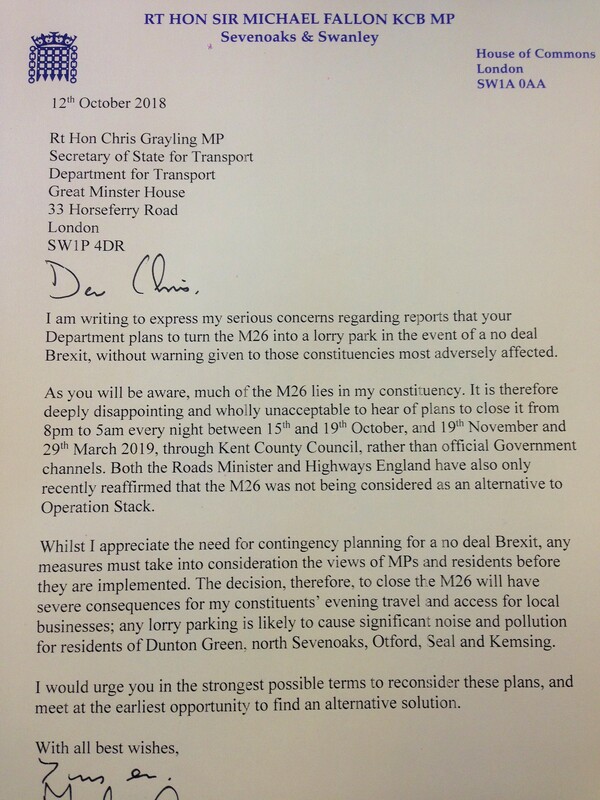 Ministers failed to consult local councils and MPs.